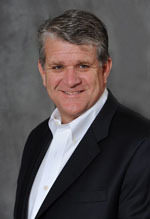 Eric has been the principal of Hutchinson Financial Services, LLC, for over 20 years. He graduated from Dickinson College in 1985 with a bachelor of arts degree. He currently lives in Granby, CT, with his two children, Claire and Evan. Eric enjoys sailing and skiing, and he is a member of the National Ski Patrol. 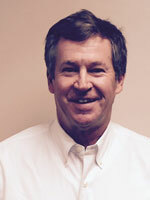 Bill has been a financial advisor for more than 20 years. He joined Hutchinson Financial Services in Avon, CT three years ago, and specializes in working with clients and their families to help them achieve their goals, whether it’s a successful retirement, planning for college education, or transferring a family business to the next generation. Bill graduated from Georgetown University in 1974 with a BS degree in Business Administration, and served as a VISTA Volunteer in New Orleans after graduation. From 1982-1994, he held several management positions at The Hartford Courant, including Assistant to the Publisher. He is the President of the Board of Directors of the Heritage Glen Condo Association in Simsbury, CT, and the co-founder and past chairman of the Bruce Wrisley Memorial Golf Tournament. Bill and his wife Joanne live in Simsbury, CT and Sandwich, MA. They have two children – Meg and her husband Jay (Askew), and their daughters Mary and Cecilia, live on the Cape; and Sam, Paula, and their three children - Liam, Oonagh and Saoirse - live in Tipperary Ireland. Bill also enjoys golf, tennis, paddle tennis, running, reading and playing the piano. Lorrie has had a great career in the financial services industry, working in it for over 20 years. She is currently the office manager and is available between the hours of 9:30 a.m. and 4 p.m. Lorrie lives in Torrington, CT, with her husband, Stephen, and twin boys Leyton and Logan. She enjoys spending time with her family and reading. This communication is strictly intended for individuals residing in the states of AZ, CA, CO, CT, FL, GA, HI, IL, MA, ME, NC, NH, NJ, NY, OH, OR, PA, RI, SC, TN, TX, VA, VT, WI. No offers may be made or accepted from any resident outside these states due to various state regulations and registration requirements regarding investment products and services. Investments are not FDIC- or NCUA-insured, are not guaranteed by a bank/financial institution, and are subject to risks, including possible loss of the principal invested. Securities and advisory services offered through Commonwealth Financial Network®, Member FINRA/SIPC, a Registered Investment Adviser.